High speed conditions can be found within a wide variety of different industrial segments. These conditions can cause mechanical and thermal degradation of the lubricant eventually resulting in overheating and component damage. An appropriate lubricant can aid these challenges by its ability to withstand shear and thermal degradation. Fans, electrical motors, high speed spindles, etc. 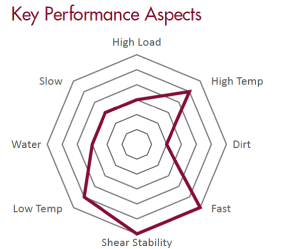 Are Your Customers Dealing with Challenging High Speed Conditions? 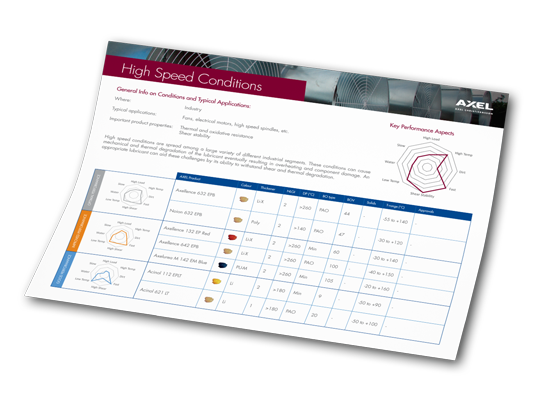 Download our High Speed Conditions Mat and learn more about a whole range of technologies and products (good, improved and optimal performance) you can start offering your customers today.